Department of Bad Puns, can you hold the line? maybe you’ll forgive the pun. Still, some would say: not enough. “Above all, believe in true love and know that men are like shoes. The best thing about this snow globe? One size fits all. 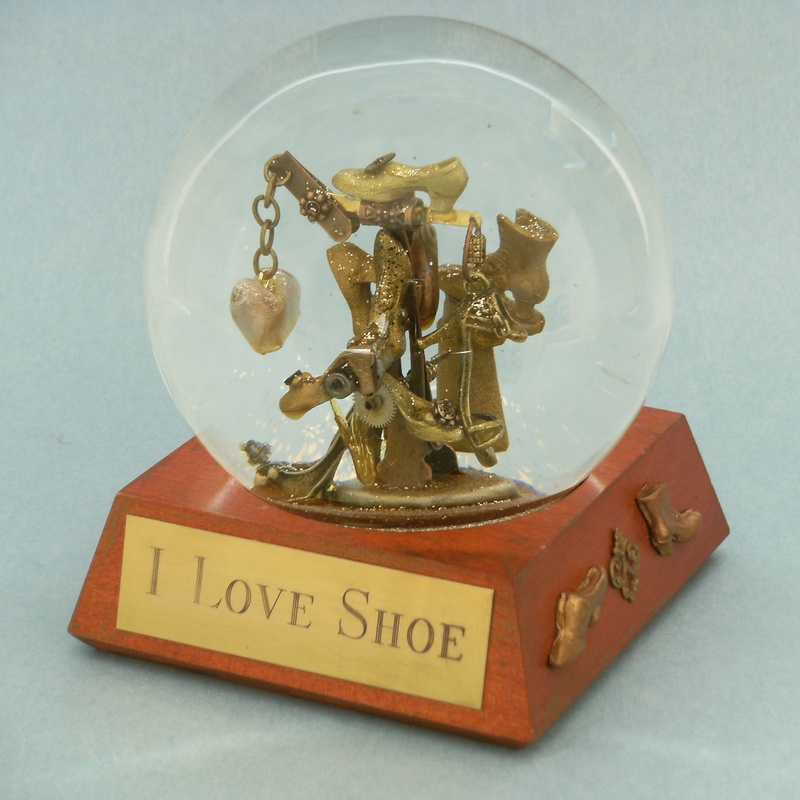 This entry was tagged artisan snow globe, custom snowglobe, custom waterglobe, heart waterglobe, miniature shoe art, one of a kind snowglobe artisan waterglobe, shoe sculpture, shoe snow globe, steampunk heart. Bookmark the permalink.